Today we’re sharing insight from guest blogger, Bethany Hartley, Director of Diversity & Inclusion at South Bend - Elkhart Regional Partnership. We hope you enjoy Bethany’s wisdom and perspective. In the South Bend - Elkhart Region, we’re taking bold steps forward to create inclusive economies and engage in crucial conversations around equity in the workplace and more importantly, in our society. How does this all connect to leadership? Simply put, it’s the leaders in our community - CEOs, founders, elected officials - that must stand up and take action. Being a leader requires bold actions when necessary and sometimes a subtle stepping back while the idea finds its footing. Fortunately, there’s a framework built to help guide leaders through inclusive attributes created by Catalyst. As a leader, you are charged with empowering your team to be the most effective it can be. What if we broadened this definition to be inclusive of how you can encourage them to bring their whole selves to the office? What does this mean? Perhaps it’s shifting some of the language used in your human resources manual, from more male pronouns to gender-neutral. For example, “employees must swipe their time cards upon arrival.” Or it could be a more intentional empowerment, such as developing internal sponsorships for employees to help guide them on a career path within your company. For some younger employees, this may be their first experience within a company and they may not have had role models in similar positions prior to working with you. Demonstrating accountability is incredibly important to building trust between various reporting levels. As a leader, you can practice accountability by following through on your words and distributing responsibilities within your direct reports. Sharing the load and setting an example are great leadership skills. Think about the culture you are building within your company, are you holding people accountable for their own results? When you create a culture of trust, accountability connects directly to the impact an employee has. For example, who wouldn’t enjoy working remotely from home with their dog at their feet or having flexible scheduling which accommodates your life? Sometimes this can cause friction within a team and with accountability, managers can create a system of transparency where results are benchmarked and accessible to all, moving the focus to the work. Courage seems to be the simplest attribute, but it isn’t the easiest. As the leader of your organization, you must be courageous enough to take personal risks to build an inclusive workplace. For example, it can be uncomfortable to show your direct reports or even colleagues your vulnerabilities. Perhaps you were fired from a job when you were coming up the ranks. Not many CEOs share stories about their personal failures and because of that, it can be difficult for junior level associates to imagine themselves in the C-suite. By courageously sharing your story, you’re inviting others to confide in you and feel a sense of loyalty built by common ground. Humility often comes through in the act of humble listening. When you always have to be right or you’re thinking about the next thing you want to say in the conversation, you’re not demonstrating humility and you’re missing out on gaining a true understanding of what’s being shared with you. Take a moment and think about the last conversation you had. Did you check your phone? Or your watch? Did you ask any questions? Was it a balanced conversation? Reflect on these questions and if you’re answers go something along the lines of “yes, yes, no, no,” you may want to explore humble listening a bit more. Being inclusive and encouraging diversity is not just the “right thing to do.” It is good for business and good for community. Much of inclusive leadership is communication and learning how to communicate across cultures, generations, and socio-economic stereotypes. Mastering this will have a significantly positive impact on your organization’s culture, and in turn, your bottom line. 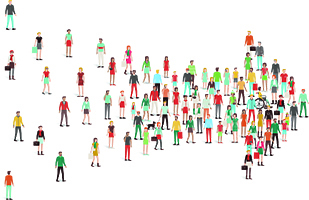 According to McKinsey, companies in the top quartile for ethnic diversity were 35% more likely to outperform their cohorts in the bottom quartile and gender-diverse companies were 15% more likely to outperform their less gender-diverse peers. If the South Bend - Elkhart regional leaders don’t step up and implement inclusive practices, embedding them in their overall strategic visions and plans, we will lose in the race for innovation, talent retention, and fostering the new generation of engaged citizens. Educate yourself beyond this article. We cannot afford to lose the diverse thinkers that show us to think not outside the box, they show us how to build a better box. This content was written and shared by guest blogger Bethany Hartley. Bethany Hartley is the Director of Diversity & Inclusion at South Bend - Elkhart Regional Partnership. 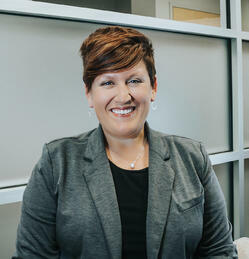 For the past decade, Bethany has served in leadership roles including director level positions at the Women’s Business Development Center (WBDC), a WBENC regional partner organization, in Chicago, and the Family & Children's Center and Boys & Girls Clubs of St. Joseph County in South Bend. Most recently, Bethany served as Deputy Director at RISE | Regional Innovation and Startup Education, where she also facilitated collegiate and high school entrepreneurship programs. During her time at the WBDC, Bethany discovered her passion for supporting the empowerment of underrepresented individuals including women, people of color, and LGBTQ individuals. Connect with Bethany via LinkedIn and Twitter. Connect with the South Bend – Elkhart Regional Partnership via their website, LinkedIn, Twitter, and Facebook.